Missouri Attorney General candidate Elad Gross speaking with Southeast students. 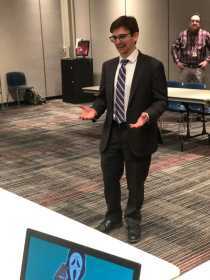 Attorney general candidate Elad Gross believes large, anonymous donations to political campaigns open the door to corruption and influence and needs to be limited. That was the message Gross delivered at an event, No MO Dark Money, at the University Center Program Lounge on March 26. Gross was invited to speak by the College of Democrats of Southeast Missouri State University to educate people on what and how dark money actually works and the dangers of it. Students listening to Elad Gross' presentation. Dark money refers to anonymous monetary donations to political campaigns, usually from nonprofit organizations. This is different than when a person, company or nonprofit “contributes” money to a campaign. He said the use of dark money started back in the 1990s when nonprofit groups found a registration loophole allowing them to donate money to political campaigns as long as it was not their major cause. So, technically speaking, a nonprofit could donate 49.99 percent of its funds to campaigns and other government entities. He said donors do not need to reside in the state where donations are going, and there is no limit to how much can be donated by these nonprofits. Gross went on to explain how there are ways to fight against dark money. He is currently working on a case against former Missouri Governor Eric Greitens and other Missouri government officials who have been accused of using dark money to fund their political campaigns in illegal ways. Going back to 2016 when Greitens ran for governor, his political campaign raised about $33 million, according to Gross. After some investigations, Gross found that about $27 million of that money came from seven organizations. 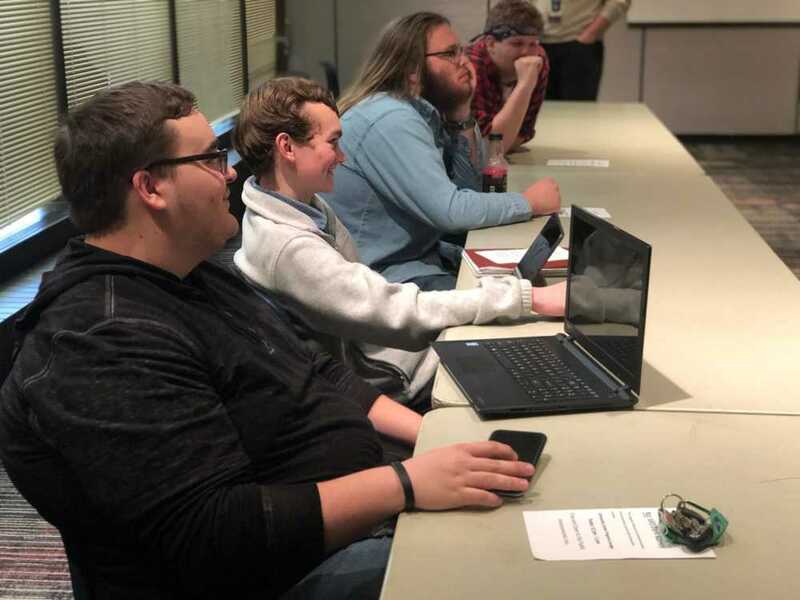 Robert Phillippe, president of the college Democrats of Southeast Missouri State University, said he believes college students would benefit from learning more about dark money and how it their own government. “Not a lot of the general population knows a lot about dark money, and they may not care, but it impacts you. The only thing you can really do is vote, and if you’re a knowledgeable voter, then that’s what we need,” Phillippe said. Both Gross and Phillippe believe it is up to all voters to make sure they have a say in the issue and to have their voices heard. “This is our problem, and we have to fix it,” Gross said. For more information about how dark money works, or about things in Missouri Government in general, visit mec.mo.gov.